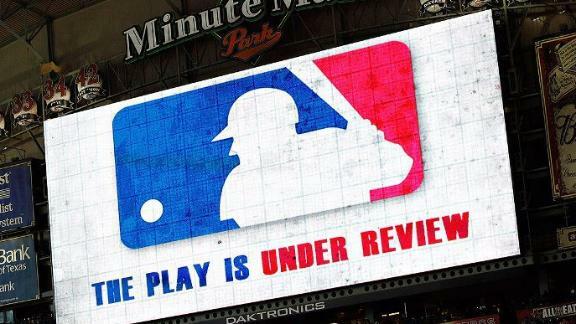 The topic that I chose to work with and research is the use of replay in being brought to baseball. The reason that I picked this for a topic is because it actually interests me. Ive played baseball growing up every year up until now, and I, along with my brother and dad are huge fans of the sport. That being said, the sport itself is losing popularity and people say that “its just to slow to watch” or “these games take forever to be played”. In recent years replay has been added to review home runs, catches,and plays on the bases. This takes a whole dimension of the game out, that dimension being leaving the calls up to the umpires. This isn’t football. Don’t get me wrong they need to be better with the calls they make, but its what makes the game interesting. There really have only been a small handful of calls made that were really really bad, most of the calls that could go either way are impossible to tell by the untrained eye weather or not they should go one way or another. This past year the world series had the lowest views in the history of baseball, if that doesn’t say something then I don’t know what will.